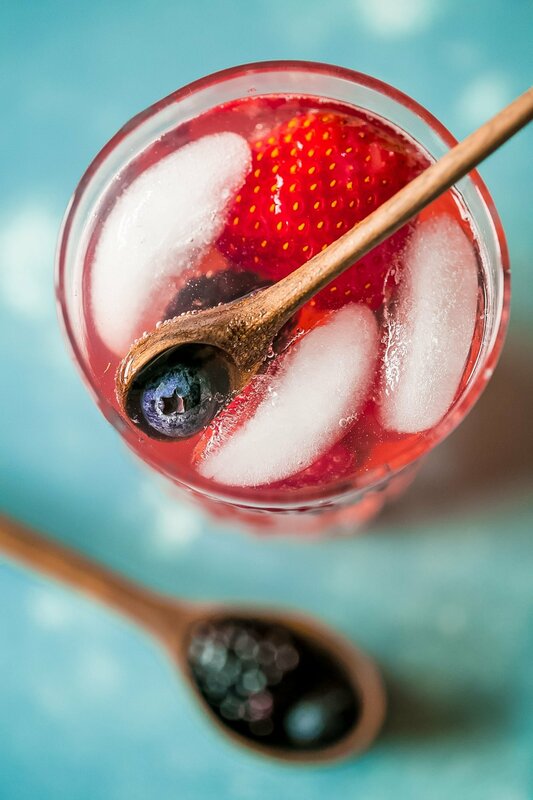 This red, white and blue Sparkling Berry Basil Lemonade is a delicious, refreshing drink your family will love! Alcoholic and non-alcoholic versions. 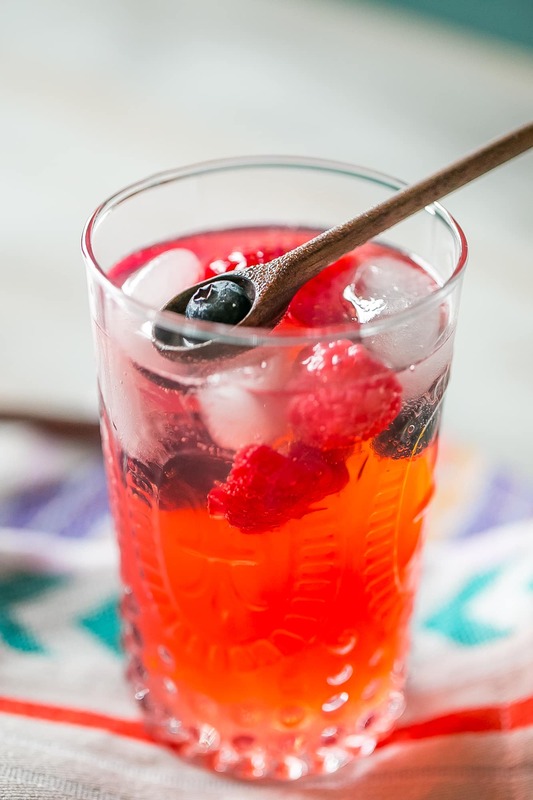 I love fresh fruit lemonades in the summer – they are light, refreshing, delicious, and totally addictive. Plus, they are beautiful, and are a great way to bring bright, beautiful color to a party! 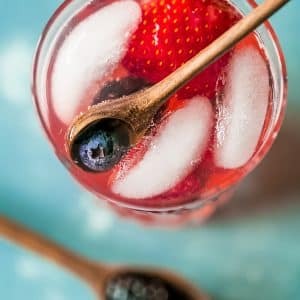 I’m taking one of my favorite lemonades- a simple strawberry recipe – and upping the flavor with some basil, as well as adding lots of bubbles! 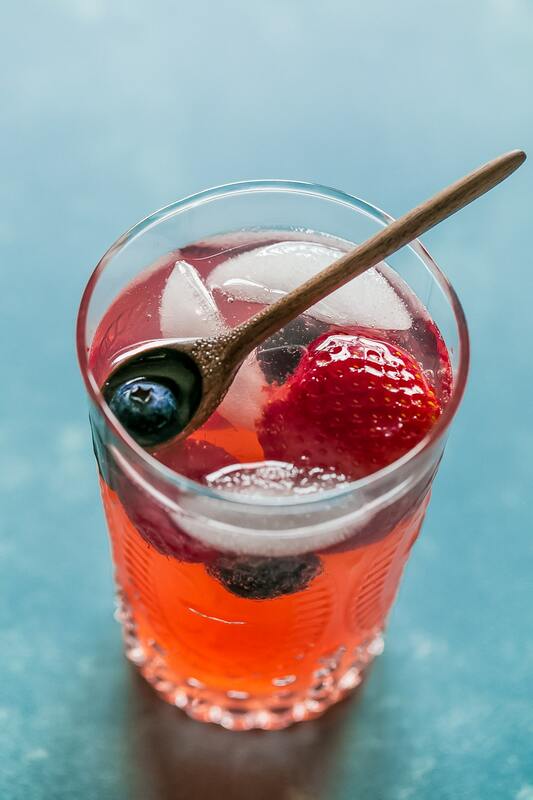 And you know what goes even better with this delicious drink? A cold $500 to wash it down!!! 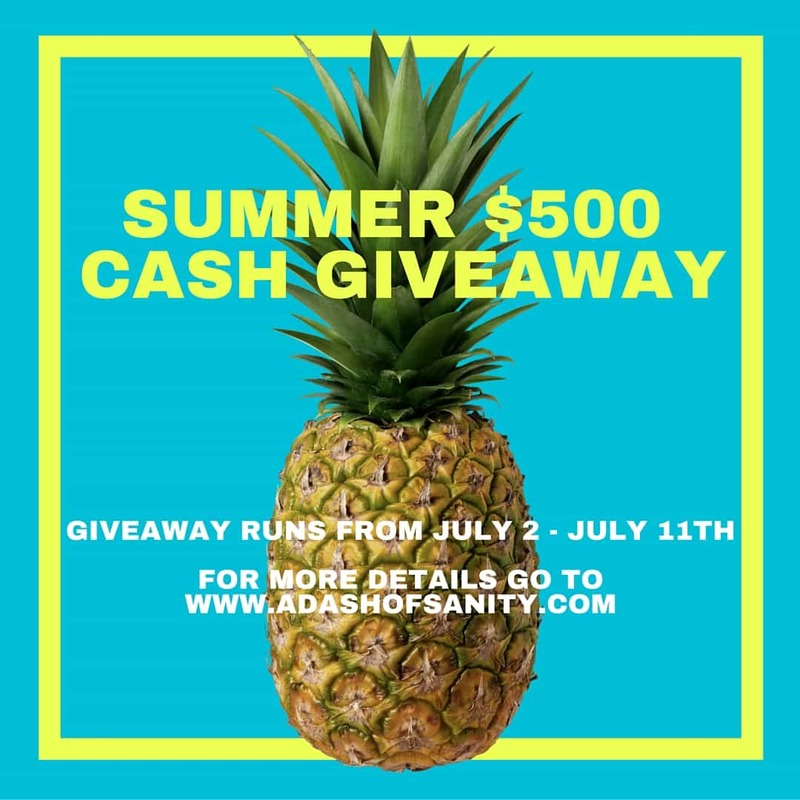 I teamed up with some of my favorite bloggers to bring you a summer bonus – $500 in cold hard cash! 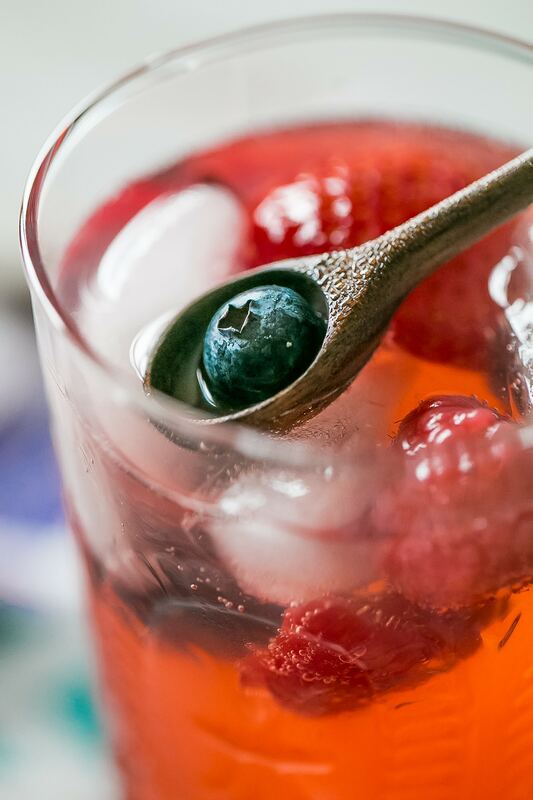 This drink is naturally red, white, and blue – perfect for a 4th of July picnic or party- without being overly sweet or too cutesy to be served all summer long. It is the perfect treat for a hot summer day! 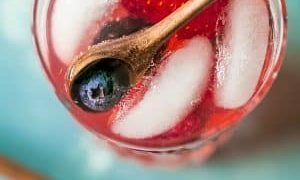 Kick up the flavor even more by letting the fruit sit in the punch overnight before serving – simply leave the champagne or dry soda and ice out until right before serving. 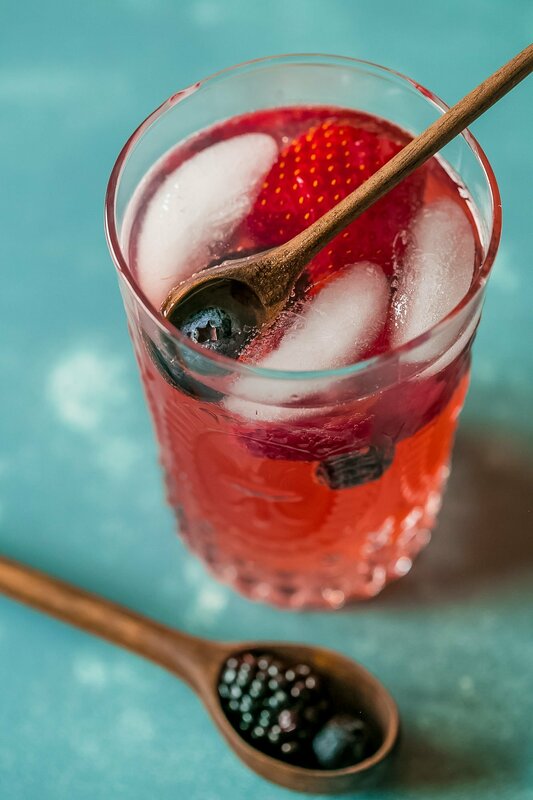 This lets the juice infuse with even more delicious fresh fruit flavor! Wondering where my basil leaves are?? 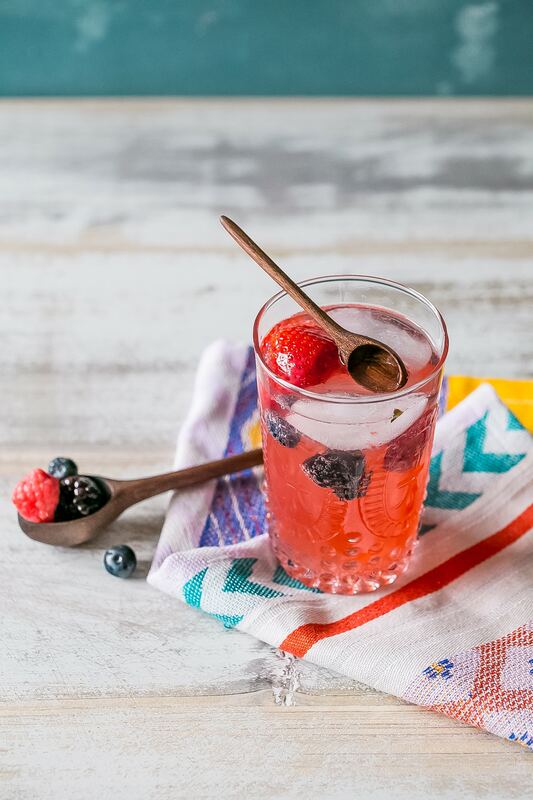 Sparkling Berry Basil Lemonade, infused with basil and berry flavors, is a perfect red white and blue drink for summer parties! 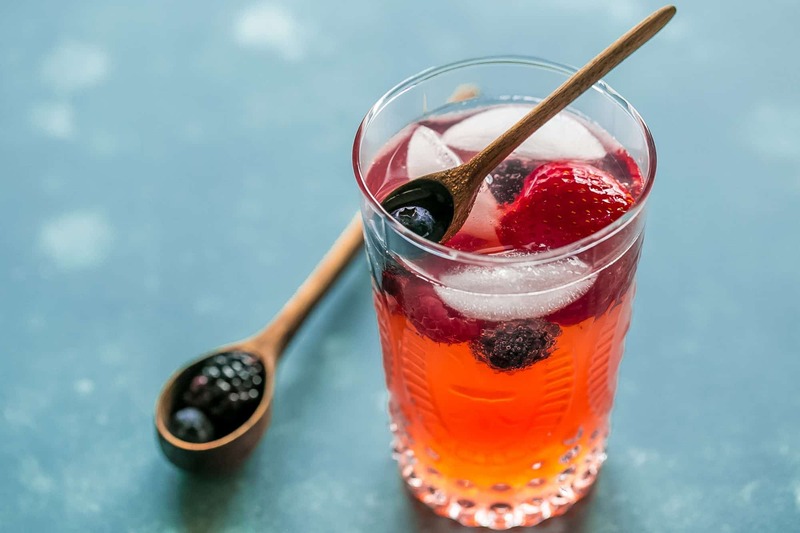 In a large pitcher, combine syrup, water, sugar, basil, lemon juice and berries and mix well- cover and let infuse for at least two hours or preferably overnight. When flavors have infused, mix well and remove basil leaves. 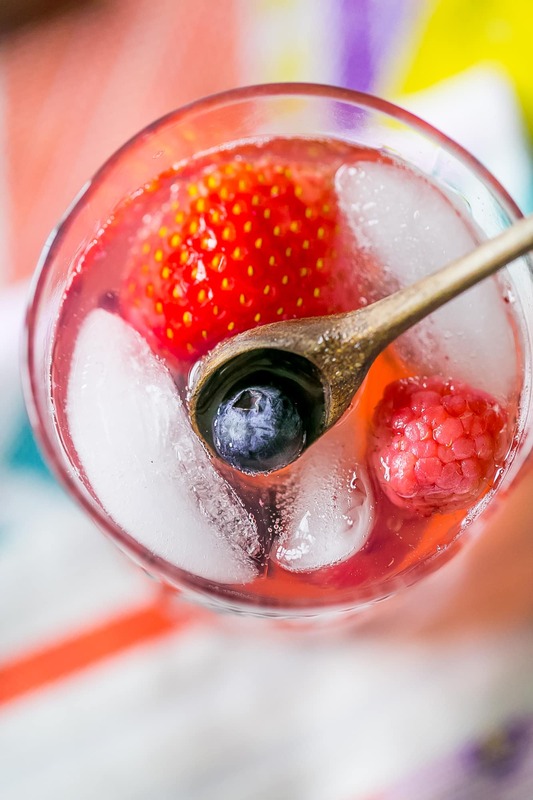 Add club soda (or champagne/prosecco) and serve over ice. Hooray for summer! And it is time to celebrate with a $500 PayPal Cash Giveaway. So whether you are going on vacation, just hanging out at home, by the pool or dates nights eating ice cream. I got together with some of my friends and put together this awesome giveaway to add some sunshine to your already summer filled summer. 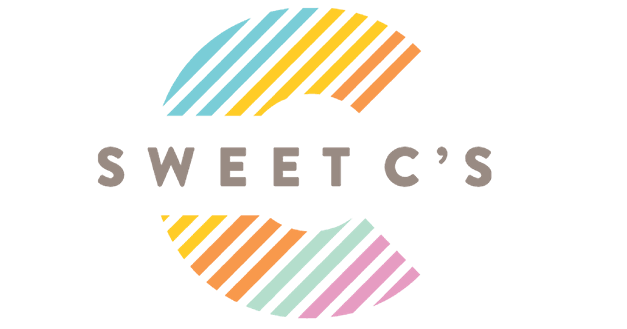 And if you are looking for some fantastic summer meals to make dinner or desserts more delicious be sure to check out some of these delicious recipes, all from the bloggers that brought you this giveaway. Have a fantastic week friends and good luck, hoping one of my readers is the lucky winner! Diethood, Barefeet In The Kitchen, Foodie with Family, Dinner, Dishes & Desserts. Lovely photos and I’m a little jealous because I’d like to have one of these right now!! Thanks for sharing with us at Throwback Thursday! This looks and sounds great. Thank you for linking up to last week’s Tasty Tuesday. 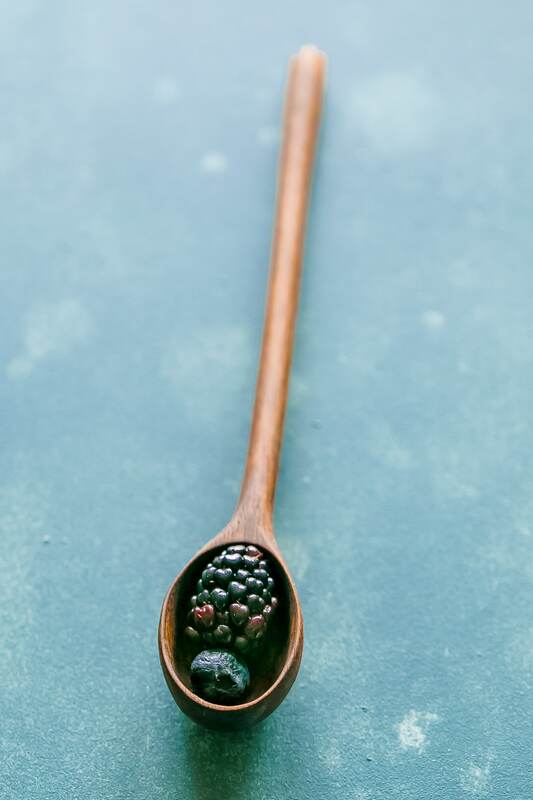 I’ve pinned your recipe to the Tasty Tuesday Pinterest board. I hope you’ll join us again this week. This is such a fun combo! I need to try ASAP! I am growing fresh basil plants on my back porch! This would be a fun drink to try! Thanks for sharing up at the Family Joy Linkup!